Gateway Community Charters (GCC) offers a challenging, inspiring education program for students of need in the Greater Sacramento area. GCC has been remarkably successful in its mission and is now serving more than four thousand students. 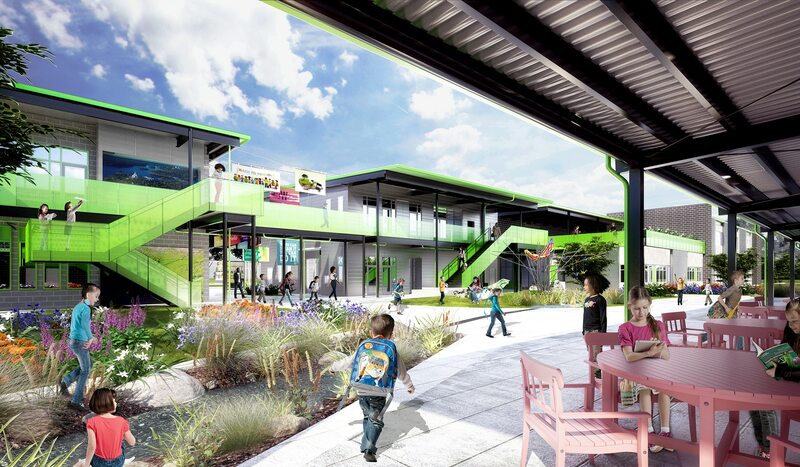 The Rancho Del Paso campus will be the first new school GCC constructs – a unique facility that brings together K-12 students from three existing campuses. 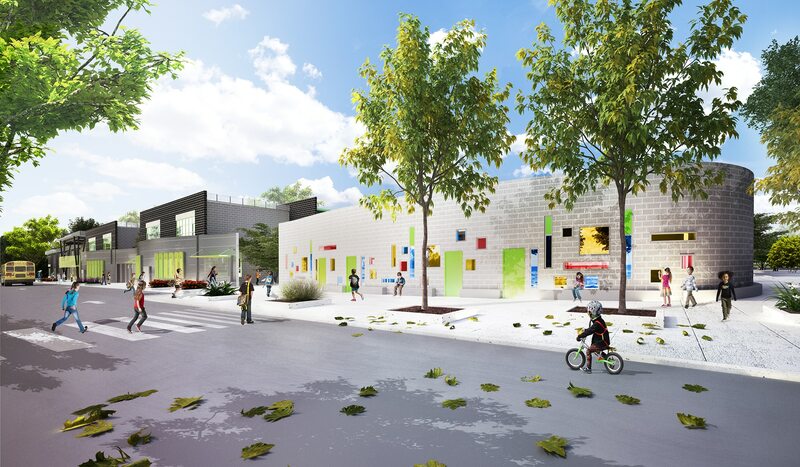 Each school will maintain its distinct identity on the new site, coming together to share community spaces and outdoor courtyards. 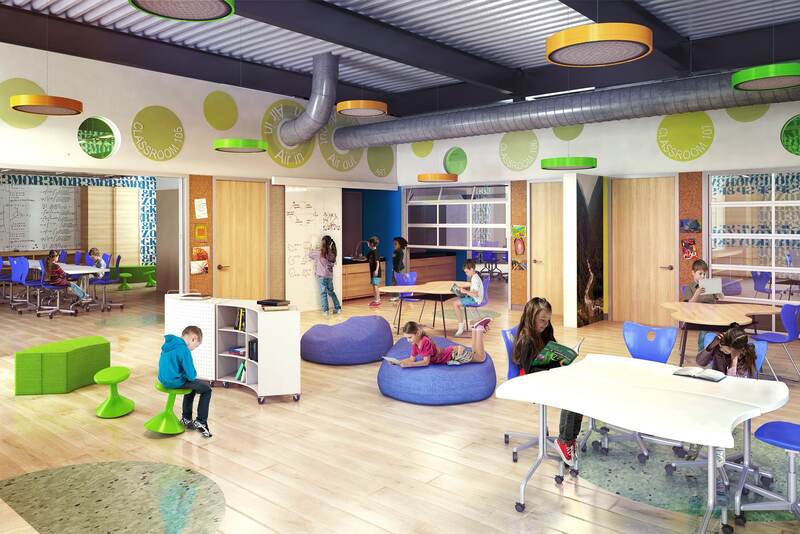 Every campus space facilitates learning – structural elements, building materials, and building systems are all part of the education process. Environmental transitions on campus will recognize and encourage student growth, affirming a natural progression from one grade level to another. The campus is planned as a unifying Hub in a part of Sacramento that is currently under-served by public and local agencies. Rancho del Paso K-12 presents a model for engaged, integrated learning and community service – an example of effective program and environment. 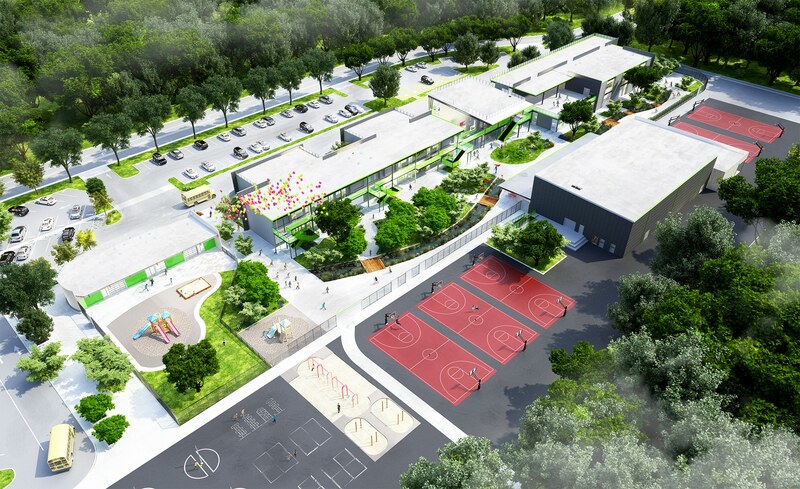 ©2018 Architecture for Education Incorporated. All Rights Reserved.